It was a success! 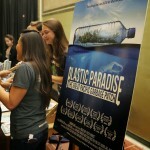 October 27th Plastic Paradise movie screening brought in a huge crowd filling the bottom floor of Barnum Hall with interested adults, children and students. This event was made possible because of Team Marine and our partner Reef Check who helped us out. The movie brought reactions from the crowd that was audible and seen through their shocked or disgusted expressions. 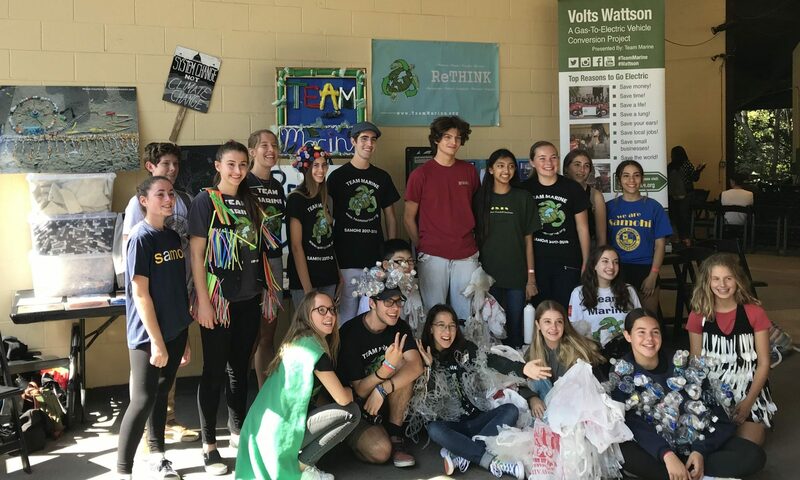 The movie brought attention to plastic pollution that the whole world is constantly creating and how we can prevent our own impact by changing simple things in our lives. 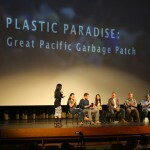 There was a section on the Pacific Garbage patch and how the gyres bring millions of tons of plastic pollution through Midway Atoll, the island halfway across the Pacific Ocean where Albatross nest. At the end of the amazing movie, a panel went onto stage and spoke, even answering some of the audiences questions. 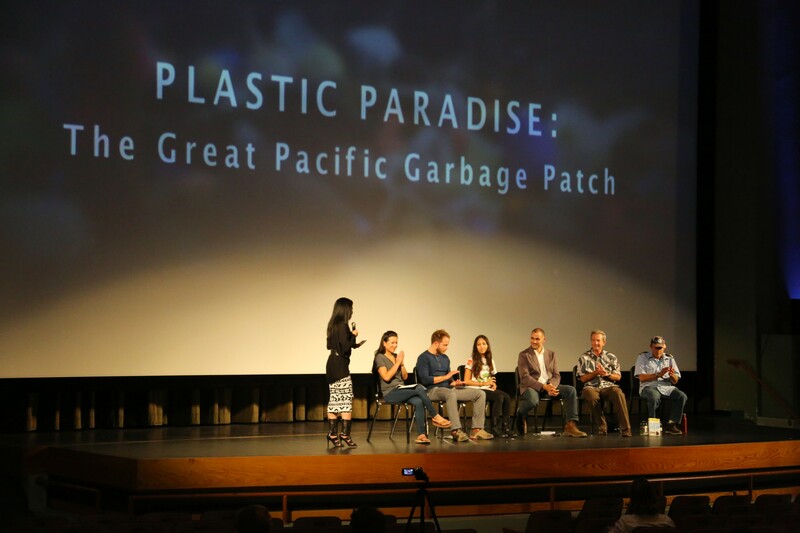 The panel consisted of the director of the movie Angela Sun, Surfrider Foundation Graham Hamilton, co-founder of 5 Gyres Marcus Erikson, the Director of Reef Check Foundation Gregor Hodgson , founder of Algalita Captain Charles Moore, and finally our own captain Kimberly Fuentes. 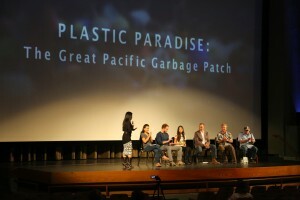 Angela Sun, the producer of the movie had Klean Kanteens, cool shirts and signed copies of the movie that could be purchased, as well as a prize after a person followed plasticpdise on social media and pledged to say no to single-use plastics for 2-weeks ( the prize was a bamboo toothbrush). 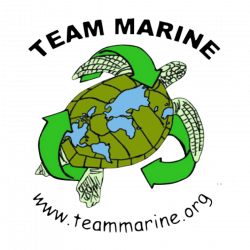 Captain Charles Moore was at the front desk at the beginning selling signed copies of his book “Plastic Ocean”. Our new partner Reef Check had a stand at the front too. 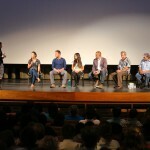 The whole panel spoke so well and the audience was completely engaged, and hopefully inspired to do similar work. 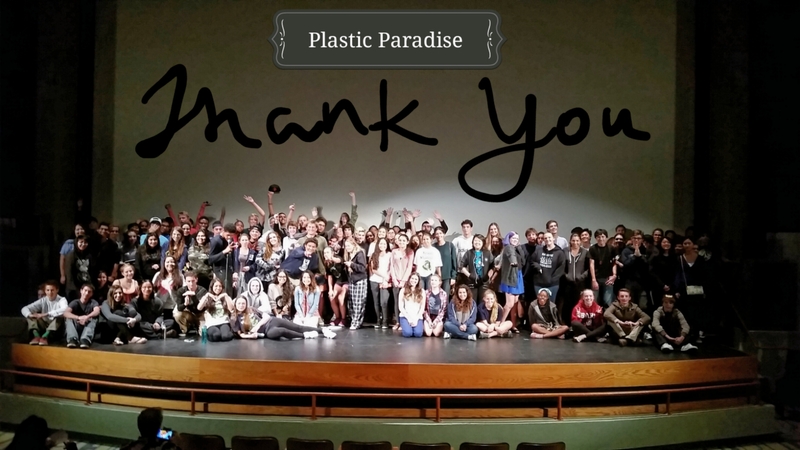 With this movie screening success, we hope we can do many more and invite all to come!